What if you have no home, your family is broken, and you are facing alone a world filled with strangers – social workers, lawyers, judges and courtrooms? You are just a child and your world has gone haywire. But, then, a CASA trained and caring volunteer becomes your advocate, your friend and supporter, someone who can navigate the sea around you and work to put you in a comfort zone. Your life, and your future, is suddenly a bit better. CASA stands for Court Appointed Special Advocates, and their single goal is for all children in Williamson County to have a safe, permanent home. 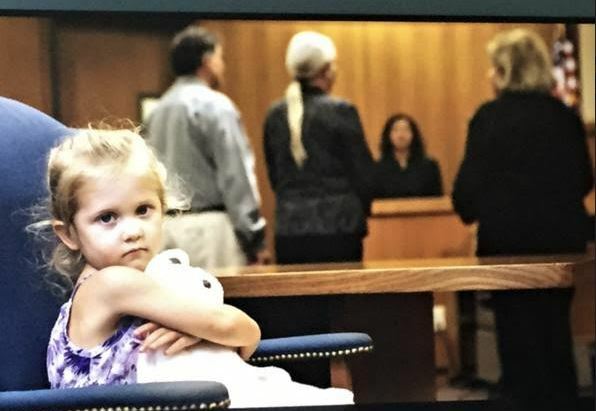 When children are removed from their home by Child Protective Services and enter foster care because their home is no longer safe, a county judge may assign the case to CASA, so that a specific Child Advocate volunteer can get to work right away. This Child Advocate is another “voice in court” for abused and neglected children. Detailed information is confidentially gathered so that the Child Advocate can give insight to the judge about the future, best interests of the child. CASA of Williamson County recently moved into fresh and larger digs, providing more elbow room for now and growth for the future. The offices are just south of St. David’s Hospital at 2100 Scenic Drive. The SoS Compliance Committee liaisons Karen Roysdon and Joanne Douglas and I, along with some interested SoS members, visited the new CASA offices on January 31. Here the CASA staff handle the administration of the program. Under Marissa Austin, Executive Director, employees work to recruit volunteers and train them, create programs and events, and supervise the volunteer advocates. There is support for the support! And Seeds of Strength is supporting CASA! In the nine years here in Williamson County, CASA has grown by 900%. In 2018, CASA served 273 children with 131 volunteer advocate; they helped 85 children leave CPS care – 50% of whom are now in new permanent homes and 47% of whom are reunited with their parents. During the SoS visit, a CASA volunteer shared experiences and thoughts about her time helping a child. Each child’s problem is different; each situation requires focus, time and wisdom. The whole family is part of the concern. Sometimes the child must move; siblings may need help; parents may need help. The advocate works with the school, doctors, and caregivers to be able to make informed recommendations to help the judge decide what’s best for the child. In the time with the child – a minimum of 12 months – the advocate celebrates birthdays, attends school activities, shares excursions and learning opportunities. As CASA puts it: For children who’ve been abused or neglected, CASA means having a home and being a priority instead of feeling lost and invisible. For volunteers, CASA is a life-changing experience that makes our community a better place. Seeds of Strength grant money is supporting the growth of the services – offices and personnel – the necessary infrastructure needed to support the volunteers. The need for CASA advocates and the support system will only grow, and the organization is better able to make those strides with our support.